National Lobster Day is on Sept. 25 this year and restaurants around New York City are offering discounted lobster rolls and other festive ways to partake in the celebrations -- so grab some friends and fellow lobster-lovers and get cracking. 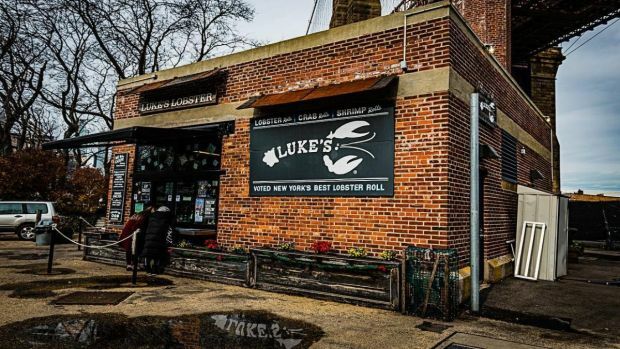 For one week only, Luke’s Lobster is offering $14 lobster rolls to celebrate the holiday and their ninth birthday. Stop by the DUMBO location (or the dozen other locations around the city) and enjoy rolls with a stunning view of the Manhattan skyline. Red Hook Lobster Pound celebrates with "Lobster Week," where guests can enjoy their famous lobster dinner with a complimentary beer or wine pairing for $25. The Lobster dinner includes a one-and-a-half pound Maine lobster, potatoes, corn and slaw. Red Hook brings lobsters straight from the Maine coast, and features them in their massive salt water tanks around the restaurant. New York’s only floating lobster shack, North River Lobster Co., allows guests to enjoy fresh lobster on the Hudson River, with several departures from Pier 81 throughout the day. The lobster boat boasts full service bars on three decks of the boat, and an extensive menu with unique rolls, like the Lower East Side Roll with scallion cream cheese on an everything potato roll. The boat sails down the river from Wednesday to Sunday this week, and departs every hour and a half. Photo credit: North River Co.